You probably first heard her name when she made a splash into the Hindi film music industry with her first solo playback song for DEV.D ‘Yahi Meri Zindagi’. 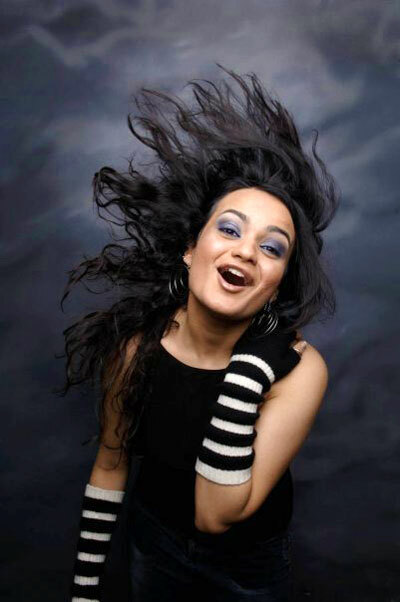 But Aditi Singh Sharma leads a not-so-secret double life – juggling a blossoming career as an in-demand film playback singer, with life as a bona fide rockstar touring with her band Groove Adda. She even made her film debut in 2011, as Ranbir Kapoor’s guitar tech in Rockstar (kinda fitting, right?). We managed to pin Aditi down for a few minutes (while she was waiting to board a plane!) to ask her a bit about life in the musical fast lane. Okay, let’s start at the beginning. What/who are your influences or inspirations? I only came back to India in high school, I’ve been influenced by a lot of things that i have seen NOW as opposed to what i remember from childhood. 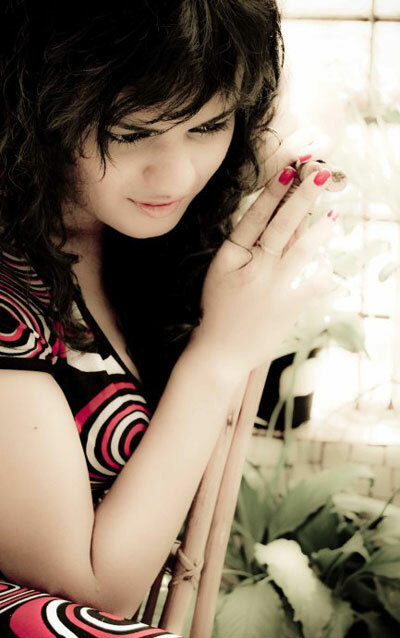 I’m highly influenced by Vishal Dadlani, Shankar Mahadevan, Shreya Ghoshal and Sunidhi Chauhan. You’re right in the middle of touring with Groove Adda – you’re always travelling! What is it like to play live? What do you love about it? It is CRAZYYYYYYYY!! I love it. I love everything about it. The energy, the audience, the boys on stage (Groove Adda), the songs, the dancing, it’s all just so crazy! It’s so cool to step on a different stage each time, with the hope to have a kickass gig and come out feeling like WOW, good show guys! It’s the same nervousness, excitement EACH time! Even though you may be playing the same song or doing the same dance moves, but it’s a new set of people who are there to watch you and groove with you! Do you take any special precautions to look after your voice? I’m very sensitive and fall sick very often. So i do have to take care, even that sometimes isn’t enough. I don’t drink anything cold, and if i sleep in the ac too often I get sick. So yes … it’s a constant fight. You’ve been in various bands over the years – (Crimson, Level9, Groove Adda). But how did you get into playback singing? I had met Ehsaan (Shankar Ehsaan Loy) at an awards ceremony (Jack Daniels Rock Awards) which I was hosting and he played my work to Shankar – that’s how I got my first recording in Mumbai (‘Chhoti Si’ in High School Musical 2). A while after that, Amit Trivedi had attended one of my gigs in Mumbai and I went to his studio to try out my voice on a song which was supposed to be sung by another singer who was not in town. That song resulted in Yahi Meri Zindagi (DEV.D). There has been no looking back ever since! So band or playback singing, which is your true love? It’s like choosing between your own two children, you never can, because you love both equally. How does it work when you go into a recording studio? Going into a studio is always so many things together. It’s cool, exciting, sometimes nerve wracking, sometimes tiring, you get to learn and try so many new things .. but it ALWAYS feels like home! You’ve already worked with some impressive names! Tell us about some of the people you’ve worked with? Wow! Amit is absolutely fantastic. I’m such a big fan. I love his music, his crazy sounds, insane arrangements, everything about his music. It’s been absolutely AMAZING working with him on all the 3 songs. ‘Yahi Meri Zindagi’ is my first playback song which got me an award too. ‘Dilli Dilli’ and ‘Aali Re’ are just super funky songs. I do hope I get a chance to work with him again soon. Himesh ji I have a lot of respect for, it was really cool to have worked with him. I love his melodies. ‘Mango’ was crazy and he just let me do my own thing, but on ‘Madhushala’, it was awesome to have gotten a chance to try something different. I worked in the studio with Himesh ji’s dad, very hard on the song and I’m very grateful because Himesh ji and I have both tried 2 different styles in the song and I’m guessing it’s worked! 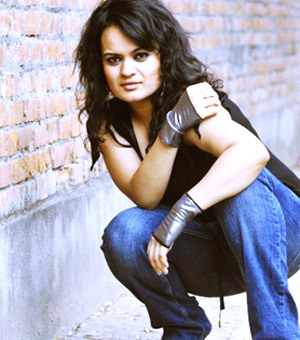 When I recorded ‘Chhoti Si’, I was VERY nervous. Singing in front of SHANKAR MAHADEVAN with all these cool singers in the studio … I was VERY nervous. But I’m so glad I got a chance to sing ‘Kaun Hai Ajnabi’ – it was absolutely amazing. KK is fantastic, SEL make you feel so comfortable and it’s like a dream working with Shankar Mahadevan while you’re singing, he’s listening to you and coaching you and you’re recording. It’s a dream. Sohail is very chilled out, but he knows exactly what he wants. It was awesome recording ‘Choomantar’. By the time i was called in to record, Benny had already finished his parts and I was at Yash Raj recording. We all had so much fun. The song is SO COOL and so is Sohail. Who is on your wishlist to work with next? While we’re on the topic of work: you’ve been included on our countdown of Best Playback Singers of 2011 – congratulations! What’s your favourite song that you have sung so far? Wow, that’s always a tough one! Thankfully, right now I only have less than 20 – wonder what would happen after?! Which star would you like to see one of your songs picturised on? I remember last year someone had asked me the same question! It was my wish to see my voice picturised on Katrina Kaif, Kareena Kapoor and Priyanka Chopra. It’s 1 down, 2 to go! I have had around 15 releases in 2011 and I’m very very thankful for all the opportunities I’ve gotten. Honestly, right now i havent recorded ANYTHING new but I am hopeful and I know my fans/well-wishers are too! With a powerhouse voice like hers we know it won’t be long until she’s back in the recording studio!